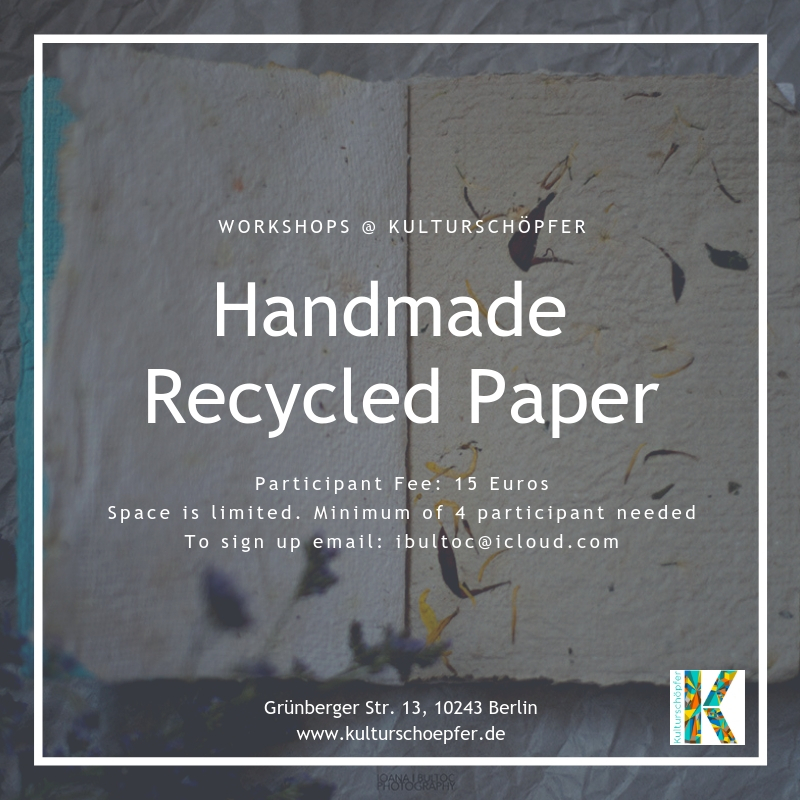 Through this workshop you will learn how to make your own handmade paper using recycle office waste. By participating you are not only learning a new skill but you are also caring for the environment by reusing and recycling waste paper. Each sheet of paper is unique and authentic. Once dried, you can use them as postcards, calligraphy, drawing or bind them all in a book, the possibilities are endless. *If you have used sheets of paper at home we encourage you to bring them and recycle your own waste! To sign up, please email ibultoc@icloud.com Places are limited.